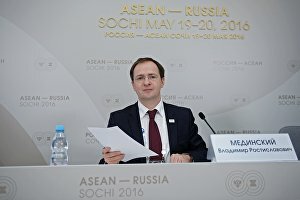 The first meeting of the ministers of culture from Russia and members of the Association of Southeast Asian Nations took place on 19 May in Sochi as part of the ASEAN — Russia Summit. Participants discussed cultural and educational tourism and outlined priorities in cultural heritage conservation. 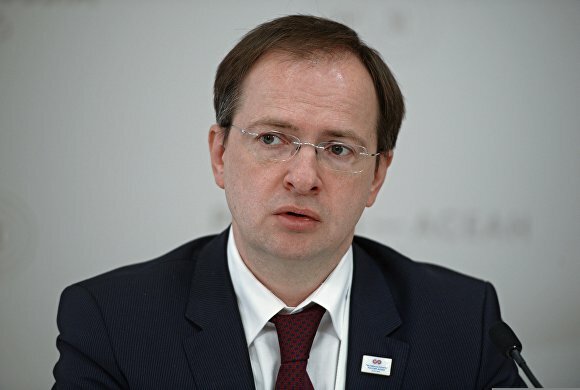 In his remarks at the meeting, Russia's Minister of Culture Vladimir Medinsky said that Russia intends to step up its efforts in training Russian-speaking staff in the ten ASEAN countries. "The growing number of Russian tourists traveling to Southeast Asia has led to a deficit in Russian-speaking workers. In order to resolve this issue, Russia embarked on a special language training project, which consists of offering Russian-language courses in the ASEAN countries' tourist strongholds," he pointed out. At the end of the meeting, the ministers adopted a joint statement on cultural cooperation within ASEAN. Following the meeting, Vladimir Medinsky held a press briefing. He highlighted the importance of increasing the number of tourists traveling from Asia to Russia along with developing inbound tourism in general. "Russia is interested in attracting tourists. We will work on it," he said. Earlier, Vladimir Medinsky called for easing Russia's visa restrictions.